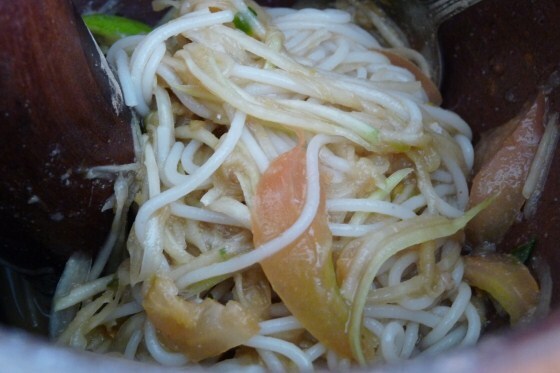 I made Green Papaya and Noodle Salad for lunch, using sticky rice noodle and a little bit of shredded green papaya. I ran out of red chili peppers and had to resort to using green chili peppers. 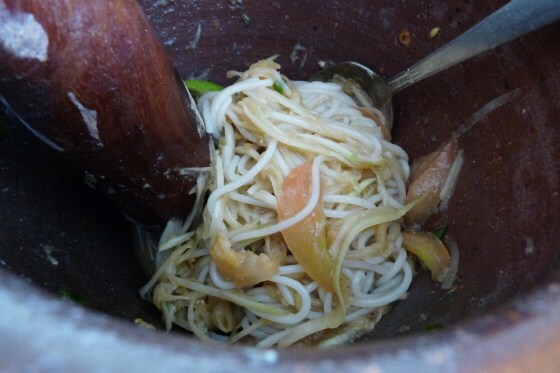 The spicy salad turned out delicious and went well with lettuce. 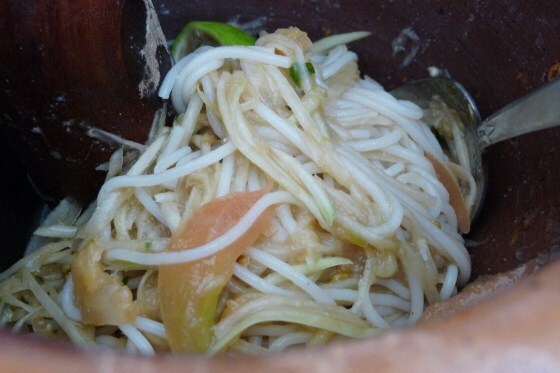 It was a simple lunch but good enough and a variety to the usual green papaya salad.